Postscript: David Duffus passed away 3rd January 2005, this website has been resurrected 6-Oct-09 in his memory for Diane, Megan and Trey, by Geoff Pooch. David's obituary can be read here. Please also read the foreword and dedication for this website. The name of DUFFUS (pronounced DUFF'-US) derives from the lands of DUFFUS in Morayshire, Scotland. What is presently known as DUFFUS PARISH encompasses the lands of the ancient BARONY OF DUFFUS and comprises 9,565 acres. The DUFFUS name has undergone a variety of spelling changes through the years; in 1290, "DUFHUS", and in 1512, "DUFFOUS". 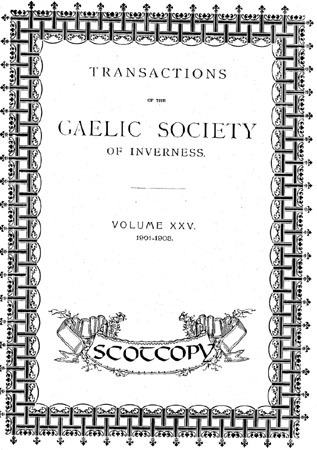 The name is probably a compilation of two Gaelic words, dubh and uisg, meaning "darkwater" or "blackwater".At one time, the region was below sea-level and the Loch of Spynie and stagnant pools of water were a conspicuous feature of the area. In 961 DUFFUS, the son of King Malcolm the First, began his short four and one half year reign as the 78th KING OF SCOTS. He was the subject of witches' plots and later slain by "one Donald', with his body being hidden under the bridge which spanned the Kinlosse. The histories state that the sun failed to shine until the King's body was discovered and received a proper burial. In a book entitled "Illustrated Guide to Britain", the author writes, "Forres, a Royal Burgh, the site of King Duncan's Court, Dunsinane, where a stone marks the place where three witches accused of causing the death of King Duffus were burned in A.D. 965". The family of DUFFUS were of note as early as the 13th century when ARKEMBALDUS de DUFFUS witnessed an agreement between Brice, Bishop of Moray (d. 1222) and John Byseth. 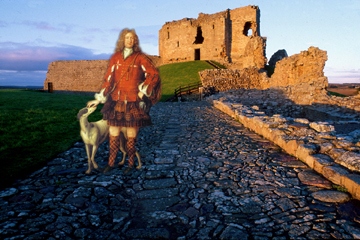 DAVID DUFIS, son and heir of JOHN DUFIS, confirmed to Robert Halliday (Holiday), a tenement within the town of Invercullen in 1330. JOHN de DUFFHOUS (or DUFWS), who was granted a canonry of Moray in 1347, appears in 1363 as Subchanter (Succenter) of Moray. The district of Fife having been at one time inhabited by the remote race of people called "Picts," Sir R. Sibbald, a native historian, ingeniously traces the name to the word "Veach," signifying painted; others, again, maintain that it was called so in honour of one FIFUS DUFFUS, a traditional hero, who had performed important services to his people in times of war. "James Duffus and George Duffus and Charles Stevinson convict in Break of ye Sabbath for playing at ye golff, efternoone, in time of Sermon, and yr for ar ordayned evrie ane of them to pay havff a merk, and mak yr repentance ye next Sabbath"
View using Internet Explorer 5 or higher!! Site design by the late David Duffus. Edited by Geoff Pooch.